Thanks for using Readly! In this update we are moving “Favourites” and “Downloads” into the “My content” tab, collecting all your content in one place. We have also streamlined the navigation and updated the mobile reader. I recently made a decision that due to arthritis and difficulty mobilising , that I would have to give up my regular trips to the library. Not an easy decision as I’ve been a regular library goer since I was able to read . Buying magazines was also not an option as they are often expensive and heavy to carry, and having bought several I often found nothing interesting in them and mainly pictures. And then ... I discovered Readly - wow! Magic ! Now for a very reasonable monthly payment I can have any magazine I want literally at my fingertips . The app is totally easy to use. 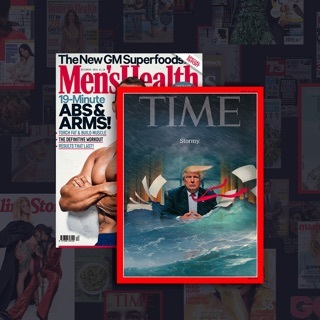 As a 67 year old technophobe I find no difficulty in locating magazines of my choice and choosing my favourites list from the multiple choices on offer. The amazing part was that I can also fill in crosswords etc and even send off my entries direct from a link in the text. It’s magic to me alright and I would totally recommend anyone to buy this app. If you are an avid reader you won’t regret it, and considering the range of magazines in offer there is surely something there for even the most hard to please reader. Thank you Readly and long may you continue to provide such a wonderful service ! I don’t know what I did before Readly... I vaguely remember lugging back breaking books and magazines or ending up reading the inflight magazine three times back to back and then being bored 20 minutes into a transatlantic flight. Not anymore. At home I browse on WiFi and read my old favourites and discover new ones. Before any trip I download new issues onto my iPad and being disconnected up in the air is not a problem. I always have something to read on the train or when I’m early at the school gates picking up the kids. We have one account but three different profiles so the kids get their favourites and my husband does as well. Absolutely brilliant for not much money at all. My only wish would be for Italian magazines to join the club so I could brush up on my language skills!! !